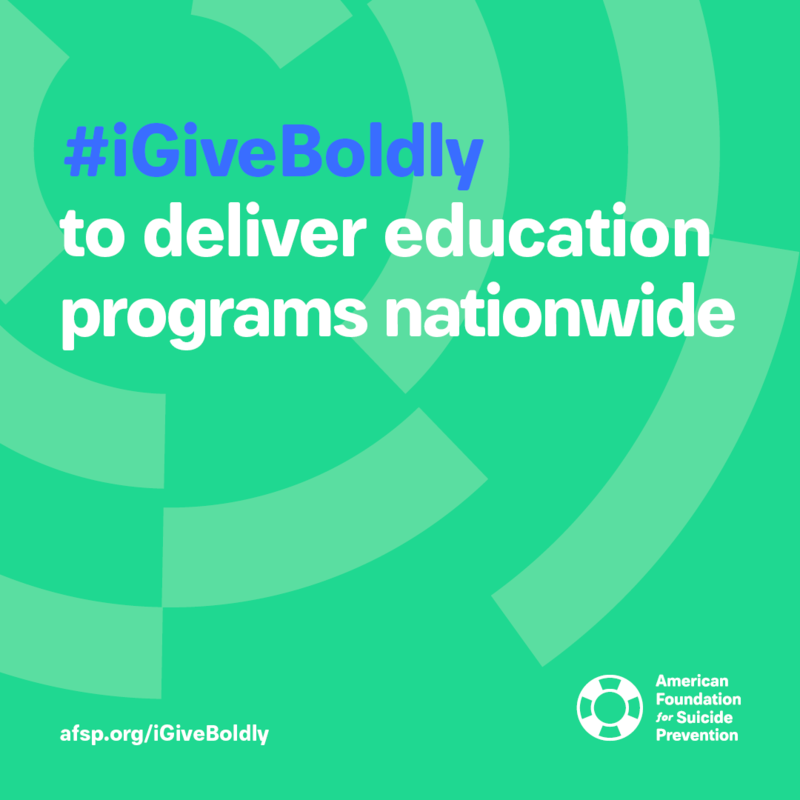 #GivingTuesday will take place on November 27, 2018. 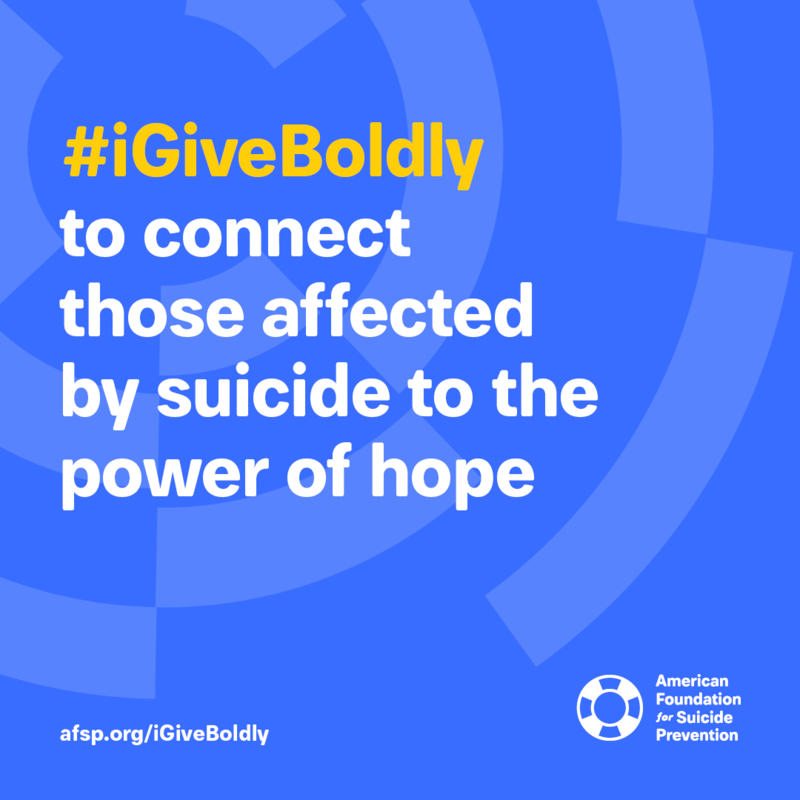 This year, encourage everyone you know to donate in support of our mission to save lives and bring hope to those affected by suicide. 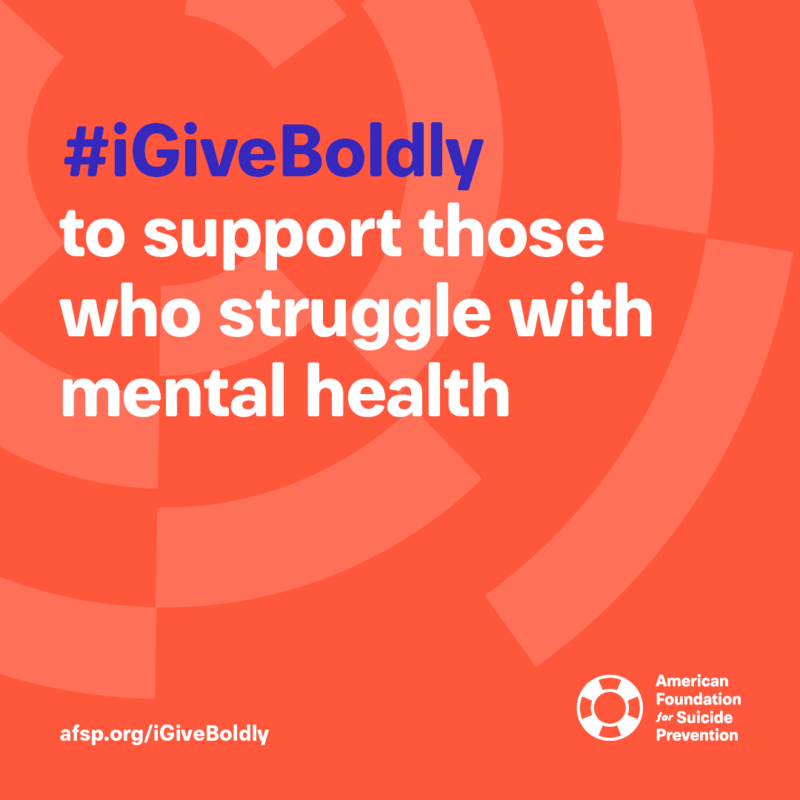 Use these easy tools to get started so when your friends and family think of #GivingTuesday they will think of you! 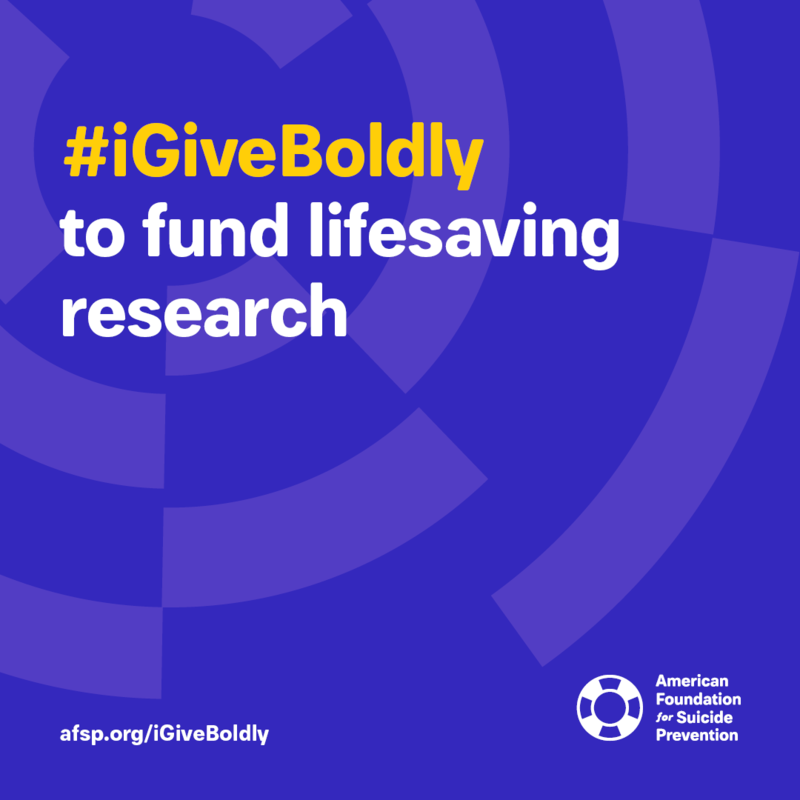 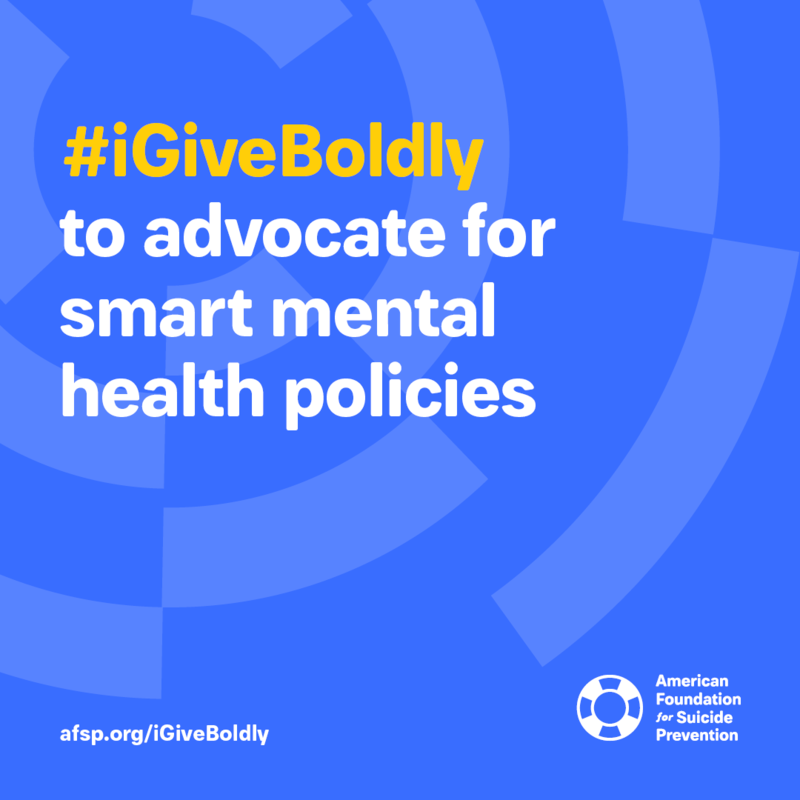 Download our #iGiveBoldly graphics to share why you support AFSP on social media and email in the days leading up to #GivingTuesday. 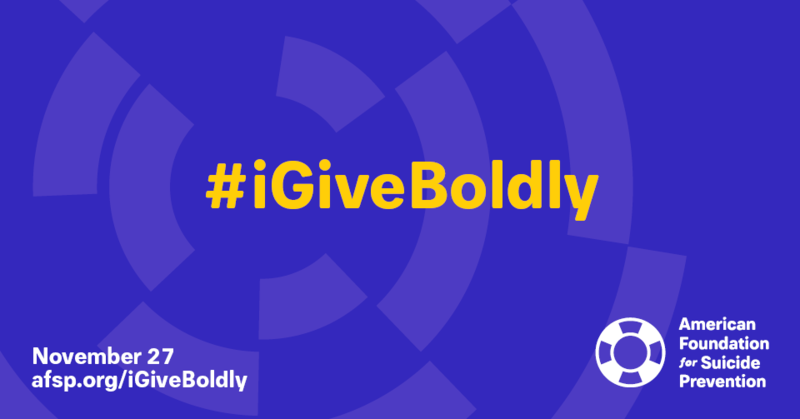 On Tuesday, November 27th, get online and let your donors know today’s the day to give back! 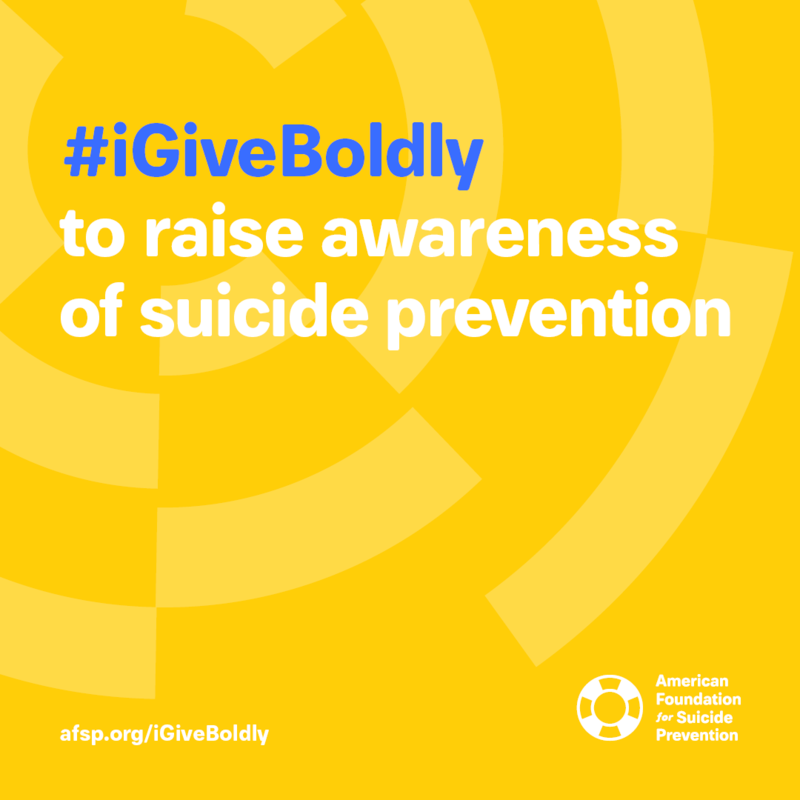 You can also make a general donation to AFSP on #GivingTuesday by clicking HERE.